Multi-tenancy is one of the exciting new capabilities of SAS Viya. Because it is so new, there is quite a lot of misinformation going around about it. I would like to offer you five key things to know about multi-tenancy before implementing a project using this new paradigm. Just as apartment units exist within a larger, common building, all tenants, including the provider, exist within one, single SAS Viya deployment. Tenants share some SAS Viya resources such as the physical machines, most microservices, and possibly the SAS Infrastructure Data Server. Other SAS Viya resources are duplicated per tenant such as the CAS server and compute launcher. Regardless, the key point here is that because there is one SAS Viya deployment, there is one, and only one, SAS license that applies to all tenants. Adding a new tenant to a multi-tenant deployment could have licensing ramifications depending upon how the CAS server resources are allocated. Many people, myself included, are not very comfortable with commitment. Making a decision that cannot be changed is something we avoid. Deciding whether your SAS Viya deployment supports multi-tenancy cannot be put off for later. This decision must be made at the time the software is deployed. There is currently no way to convert a multi-tenant deployment to a single-tenant deployment or vice versa short of redeployment, so choose wisely. As with marriage, the decision to go single-tenant or multi-tenant should not be taken lightly and there are benefits to each configuration that should be considered. Let’s return to our apartment analogy. Just as each apartment owner has a separate key that opens only the apartment unit they lease, SAS Viya requires users to log on (authenticate) to a specific tenant space before allowing them access. SAS Viya facilitates this by accessing each tenant by way of a separate sub-domain address. As shown in the diagram below, a user wishing to use the Acme tenant must access the deployment with a URL of acme.viya.sas.com while a GELCorp user would use a URL of gelcorp.viya.sas.com. 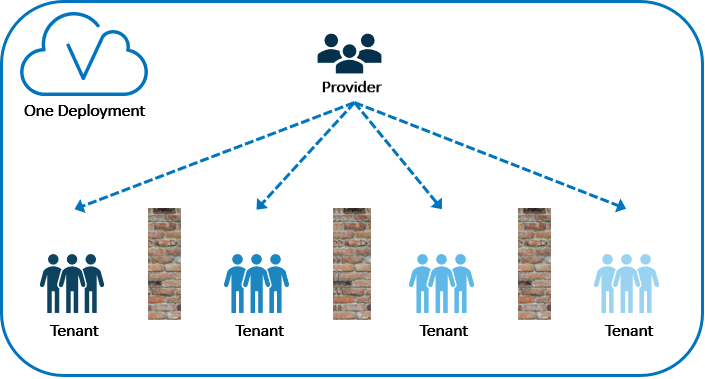 This helps create total separation of tenant access and allows administrators to define and restrict user access for each tenant. It does, however, mean that each tenant space is authenticated individually and there is no notion of single sign-on between tenants. You will notice in both images above that there are brick walls between each of the tenants. This is to illustrate how tenants are completely separated from one another. One tenant cannot see any other tenant’s content, data, users, groups or even that other tenants exist in the system. One common scenario for multi-tenancy is to keep business units within a single corporation separated. For example, we could set up Sales as a tenant, Finance as a tenant, and Human Resources as a tenant. This works very well if we want to truly segregate the departments' work. But what happens when Sales wants to share a report with Finance or Finance wants to publish a report for the entire company to view? •	We could export content from one tenant and import it into the other tenant(s). For example, we would export a report from the Sales tenant and import it into the Finance tenant, assuming that data the report needs is available to both. But now we have the report (and data) in two places and if Sales updates the report we must repeat the export/import process. •	We could set up a separate tenant at the company level for shared content. Because identities are not shared between tenants, this would require users to log off the departmental tenant and log on to the corporate tenant to see shared reports. 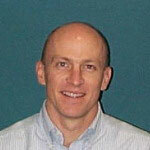 There are pros and cons to using multi-tenancy for departmental separation and the user experience must be considered. Managing and maintaining a multi-tenancy deployment is more complex than taking care of a single-tenant deployment. Multi-tenancy requires additional CAS servers, additional micro-services, possibly additional machines, and multiple administrative personas. The additional resources can complicate backup strategies, authorization models, operating system security, and resource management of shared resources. There are also more levels of administration which requires an administrator persona for the provider of the environment and separate administrator personas for each tenant. Each of these administration personas have varying scope into which aspects of the entire deployment they can interact with. For example, the provider administrator can see all system resources, all system activity, logs and tenants, but cannot see any tenant content. 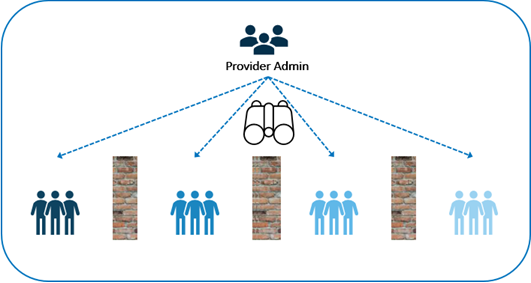 Tenant administrators can only see and interact with dedicated tenant resources such as their CAS server and can also manage all tenant content. They cannot, however, see system resources, other tenants, or logs. Therefore, coordinating management of a complete multi-tenant deployment will require multiple administration personas, careful design of operating system group membership to protect and maintain sufficient access to files and processes, and possibly multiple logins to accomplish administrative tasks. 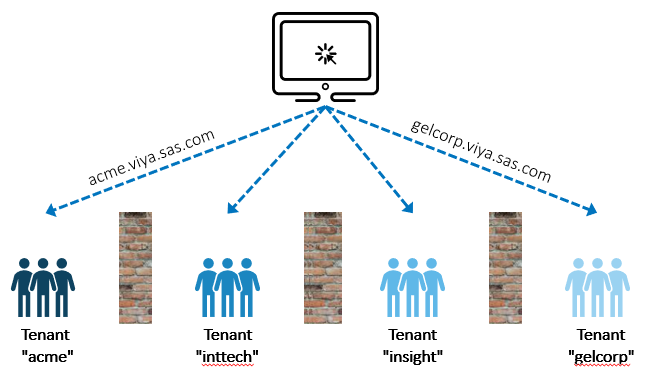 I have pointed out a handful of key concepts that differ between the usual single-tenant deployments and what you can expect with a multi-tenant deployment of SAS Viya. I am obviously just scratching the surface on these topics. Here are a couple of other resources to check out if you want to dig in further.